When DH told me that we were going to have our dinner at Tweedle Book Cafe last Saturday, I was apprehensive. 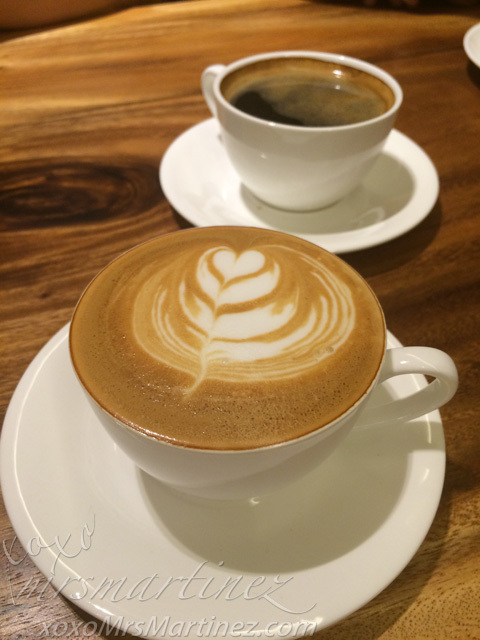 I have been there twice in the past, I know it serves good coffee, hot chocolate, cake and Merry Moo ice cream but can its kitchen whip up yummy dishes too? I guess it's about time to find out. 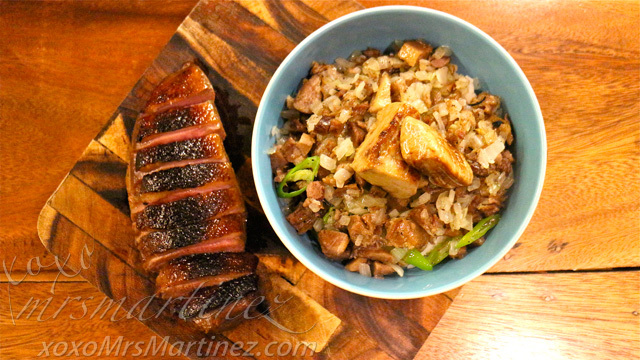 Duck cooked three ways- a Smoked Duck Breast and Foie Gras on top of warm Duck Sisig Rice! Yes, that will all be served on your table when you order Tweedle Book Cafe's Duck Duck Duck. It's a duck lover's dream! I know you want to ask if it was worth it, I would definitely say yes! 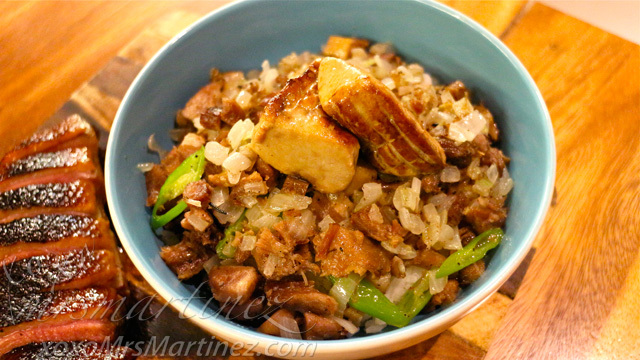 There were some leftover duck sisig rice and several slices of duck breast we took home. The next day, DH reheated it and it tasted just like yesterday. 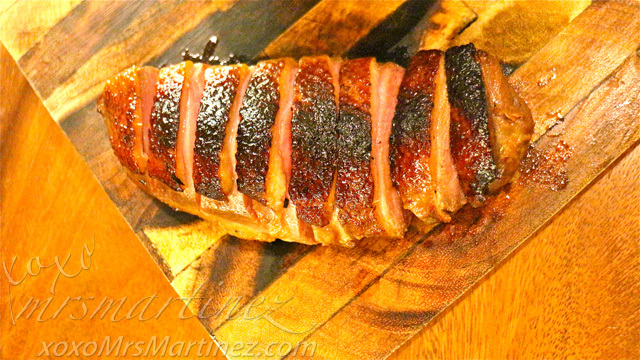 The duck breast remained tender and juicy. It's truly a satisfying meal! Foie Gras (Php 300), Ugly Duckling- Duck Sisig (Php 490) and Smoked Duck Breast (Php 600) are priced individually if you don't like to order the whole set. Now that I have computed it, it will be more economical to order these individually than as a set. It will only set you back at Php 1,390. 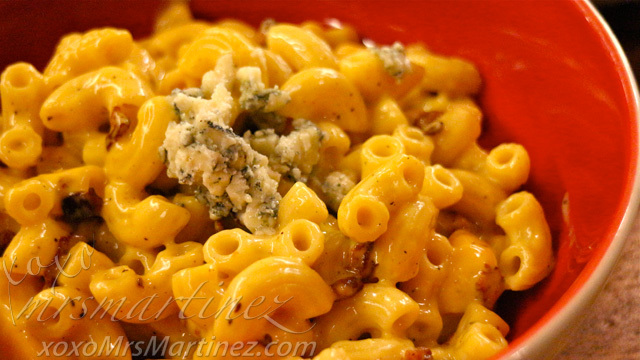 I ordered Mac & Cheese for my little girl. And guess what?! She loved it including the heavily scented Bleu Cheese. She was able to finish an entire bowl with a little help from DH and I. There were four steaks available on the menu with price ranging from Php 700 to Php 2,700. Since DH already ordered Duck Duck Duck, I opted for a less sinful (*read---> less expensive) dish called Hangover 1. 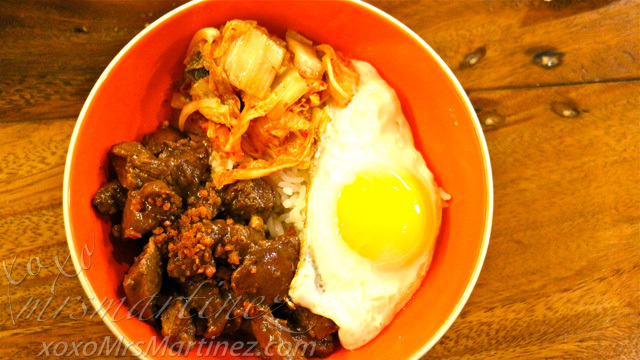 Basically, it's tenderloin cubes on top of rice with Kimchi and egg on the side. If there's Hangover 1, there's Hangover 2 (Php 260). A little less expensive and more pocket-friendly, option 2 order has Salmon Belly instead. You can also opt for Iced Infused drink for only Php 165. Other The Chocolate Chamber (TCC) flavors are Vanilla, Hazelnut, Cinnamon, Cinnamon Ginger, Hibiscus, Chamomile, Jasmine, Salted Caramel, Cherry and Mint. Just add Php 10 if you want any of the coffee drink iced. 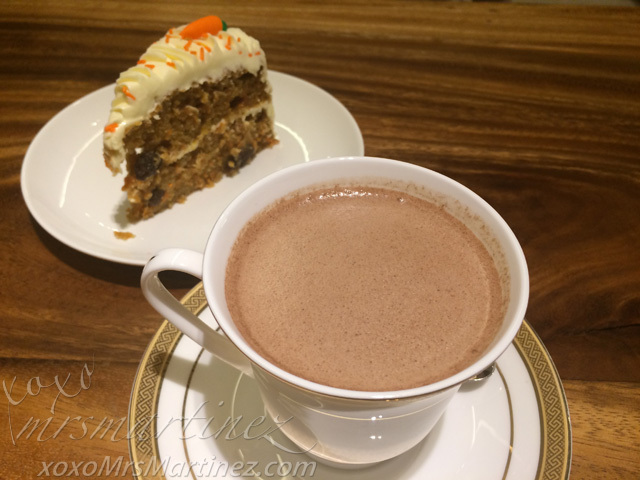 Oh, I wanted to go back and try Tweedle Book Cafe's Tweedled Butterbeer Php 170/ Tweedle Jack's Butterbeer Php 200. Now, if only this book cafe has more kid-friendly book choices, it will be a perfect place for my daughter to hang out. 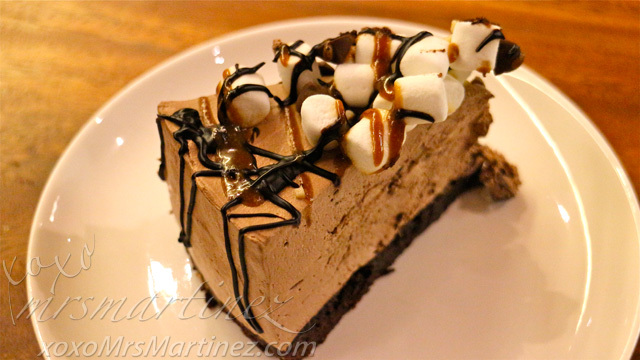 Tweedle Book Cafe is located at 106-B Scout Gandia St. Sacred Heart, Quezon City 0922-805 1688.